Before your customers enter your ecommerce store, they’re waiting for it to load. Page load time is the lapsed time between the moment a user requests a new page and when that page is fully rendered by the browser. Reducing page load times can reduce bounce rates and increase conversion rates. Here is a list of free tools to test your page load time. There are simple speed tests, comprehensive tests with simulated traffic from around the globe, and multiple-site tests for head-to-head comparisons. 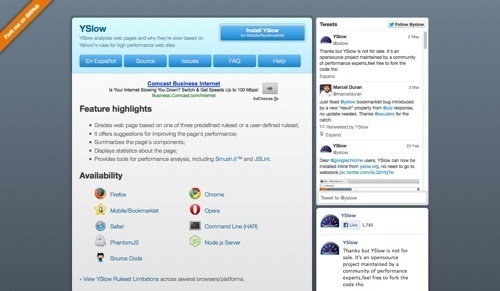 Several of these tools offer suggestions to improve a site’s performance. 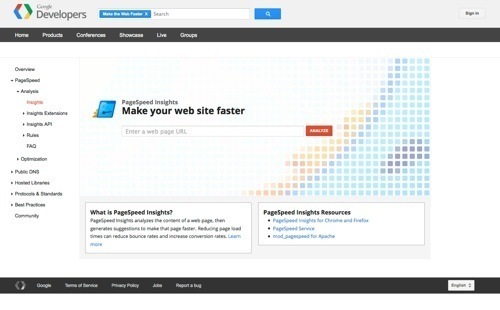 Google PageSpeed Insights analyzes the content of a web page and generates suggestions to make that page faster. Recommendations are based on general principles of web page performance, including resource caching, data upload and download size, and client-server round-trip times. YSlow analyzes web pages, suggests why they’re slow based on Yahoo!’s rules for high performance web sites, and then offers suggestions for improvement. When analyzing a web page, YSlow deducts points for each infraction of a rule and then applies a grade to each rule. 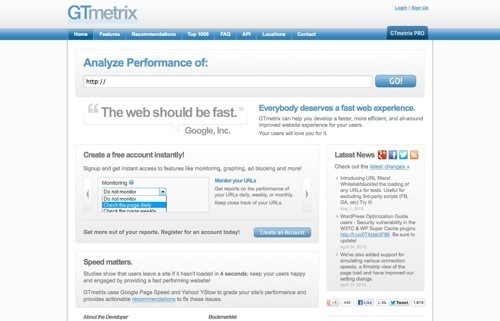 GTmetrix uses PageSpeed and YSlow to grade your site’s performance and provides recommendations to fix. The site also features tools to monitor your site and track its performance, such as video playback and performance reports. 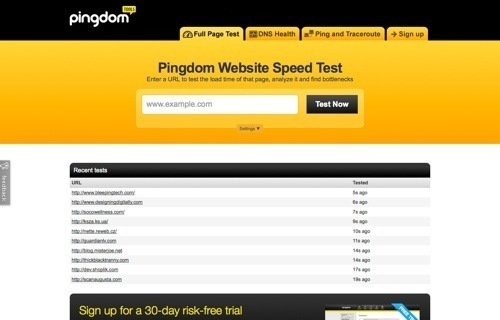 Pingdom lets you identify what about a web page is fast, slow, and too big, as well as the best practices you’re not following. View file sizes, load times, total website speed and other details about every page element. You can sort and filter this list in different ways to identify performance bottlenecks. 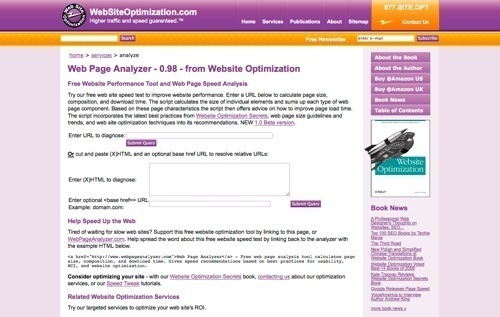 Web Page Analyzer is a simple and straightforward web page speed analyzer. Enter a URL to get page size, composition, and download time. It sums up page components, and then offers advice on how to improve page load time. Which loads faster? is a handy tool to compare loads times of two sites side-by-side. Go head-to-head with your competitors or match up against the industry big dogs, as you tweak your performance to ensure your edge. 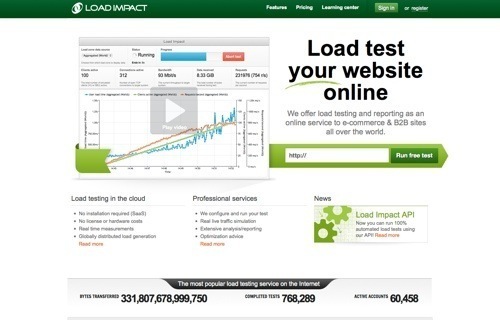 Load Impact provides a free tool for load testing and performance testing. Test your site’s performance with mounting traffic. Choose a worldwide load zone, then test simulated clients, bandwidth, data received, and requests per second. The tool displays a nice chart to measure load time as more clients become active. 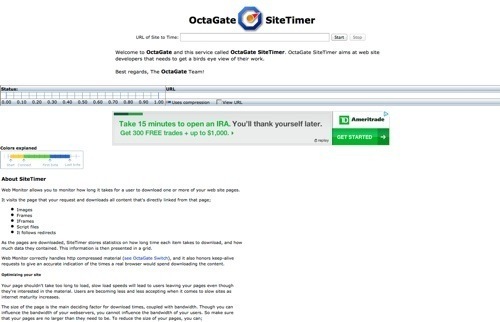 OctaGate SiteTimer is another straightforward timer for loading website pages and page elements. The results are presented in a clear bar graph. Element downloads are listed with start times, connection times, and end times. 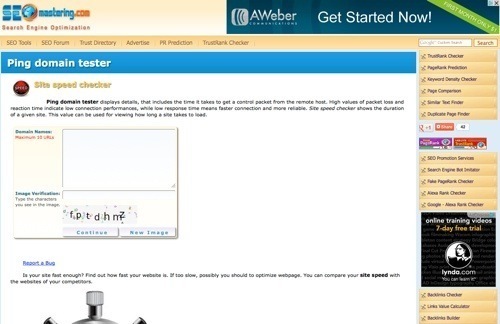 SEOmastering.com Site Speed Checker is a simple and useful tool that allows you to enter up to 10 URLs to test simultaneously. 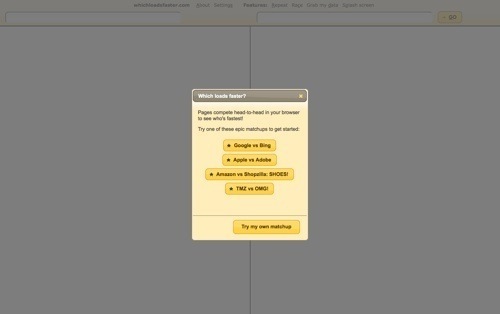 Test your site against a batch of competitors at one time. 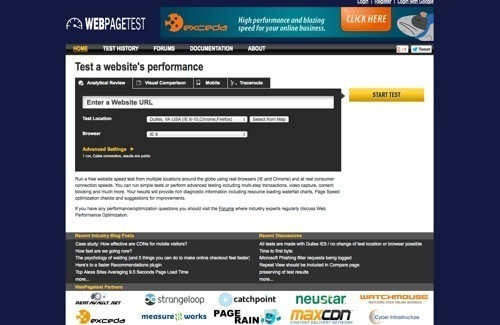 WebPagetest lets you test your website speed from multiple locations around the globe using real browsers and consumer connection speeds. Enter multiple URLs to compare them side-by-side, or compare sites against industry pages. Perform advanced testing, including multi-step transactions, video capture, content blocking and more.